If you are unhappy with the appearance of aging skin on your neck, we offer a cosmetic surgery to rejuvenate the skin at the neckline. You may see a "turkey wattle," loose skin, banding and creasing at the neck, or jowls that you would like to address with long-lasting results. We see an opportunity to increase your self-esteem and enhance your beauty. Our board-certified plastic surgeons at Inspire Cosmetic Surgery & Med Spa will meet with you in a confidential consultation room o ask questions and discuss your aesthetic goals for the areas of concern with your neck. We can provide you with neck skin tightening surgery to remove the excess and tighten the rest. If you have extra fatty deposits in this area, we can combine this procedure with liposuction if needed. Make an appointment at our office in Delray Beach, FL so that we can give you all the options in surgical and nonsurgical treatments. 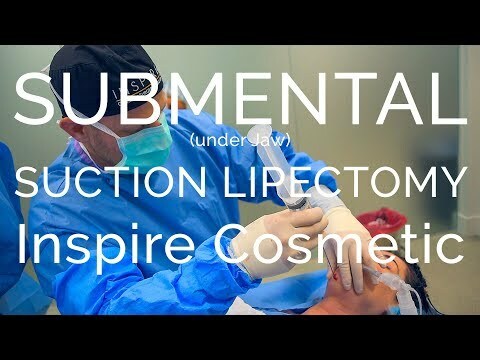 You may come into the consultation with a neck lift in mind, but our plastic surgeons at Inspire Cosmetic Surgery & Med Spa may make other suggestions to solve your cosmetic facial issues. Keep an open mind as to what our board-certified plastic surgeons can do for your facial features. For example, you may not have enough contour to your neck because of a "weak chin," and this area may be enhanced with a chin augmentation or chin implant. Another example is that you may only need liposuction to slim your neck profile. Just know that there are many ways you can solve the problem of an unattractive neck area, and meeting with a trusted and experienced plastic surgeon is a great first step in achieving your aesthetic goals. If you would like to learn more about the risks and benefits to having a neck lift surgery, please contact our office in Delray Beach, FL and talk to our front office staff. We will answer your questions, explain the procedure, and provide you with top-notch medical care and an amazing new look.